The classic Final Fantasy RPG you've been waiting for is finally available on Android! No, not that one. Or that one, or that one either - it's number nine. 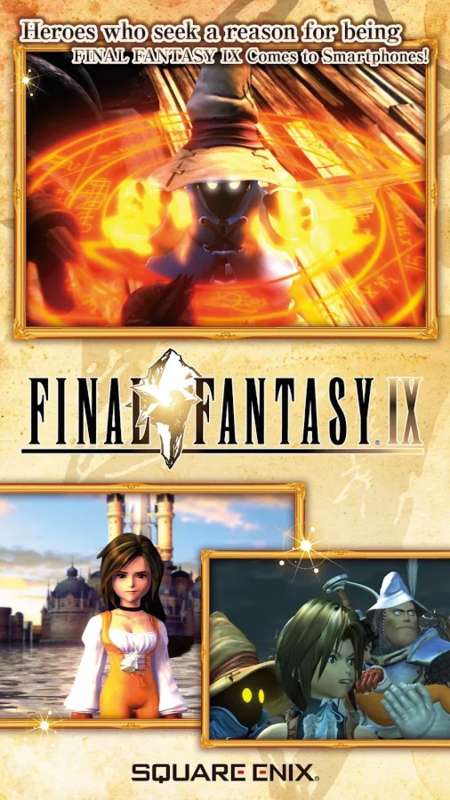 This morning Square Enix published Final Fantasy IX, which was first released for the PlayStation way back in 2000, on the Play Store. If you have $16.99 to spare (and 4GB of free space on an Android 4.1+ phone or tablet), it can be yours. That's a 20% discount until February 21st, according to the app description. 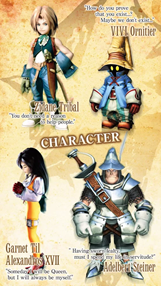 After the more realistic character designs of Final Fantasies VII and VIII, FFIX was a return to the more traditional Squaresoft RPGs of the Super NES and earlier. It was also the last entry in the main series to be released on the original PlayStation. 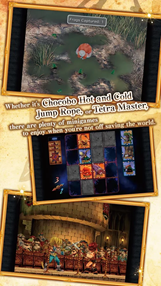 Even so, the developer continued to refine its battle system and push the boundaries of pre-rendered game animations. 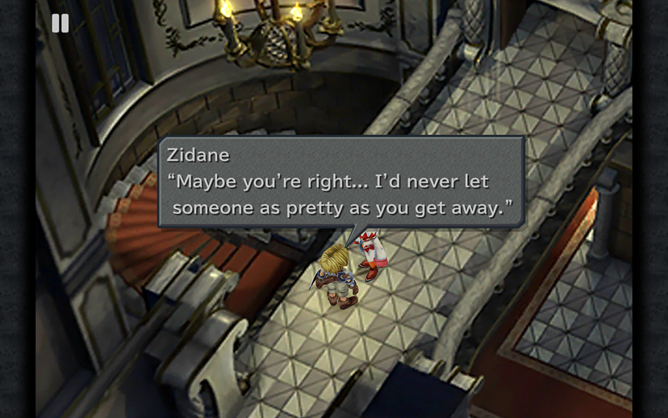 The story follows Zidane, a scoundrel type whose theater troupe-slash-gang of thieves kidnaps the local princess, much to her surprise and delight. Eventually the winding story gets caught in the middle of a fantasy war. Airships, chocobos, magic, quasi-religious evil forces, badda bing badda boom. 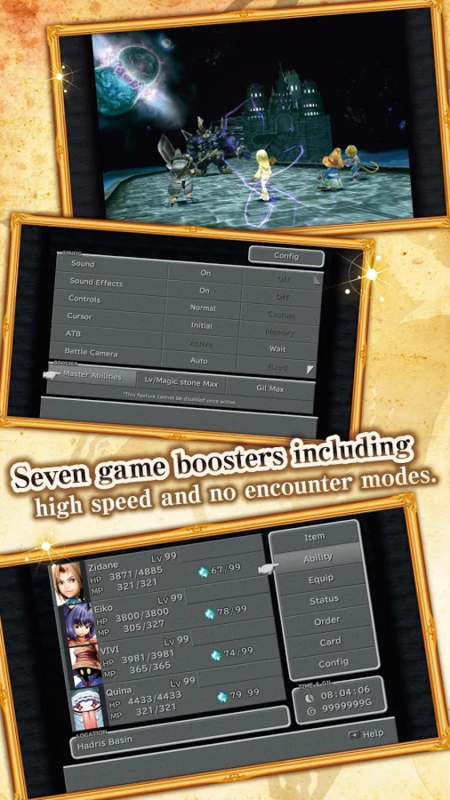 The mobile port appears to preserve the original gameplay, but adds some "game boosters" to allow players to progress through the enormous story more quickly. There's also an auto-save feature, and some of the pre-rendered video and character models have been redone to take advantage of high-resolution screens. Unfortunately it's not available for Android TV devices (or at least it's not showing as compatible with my SHIELD TV), but the game does support external controllers and cloud saves. Oh, and if you're wondering where the Android port of Final Fantasy VII is, I suspect Square-Enix is holding back on that until the release of the fancy console remake later this year. 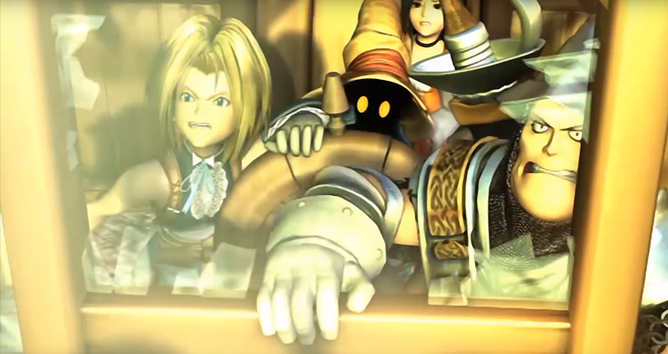 Final Fantasy VIII might show up sooner than that. 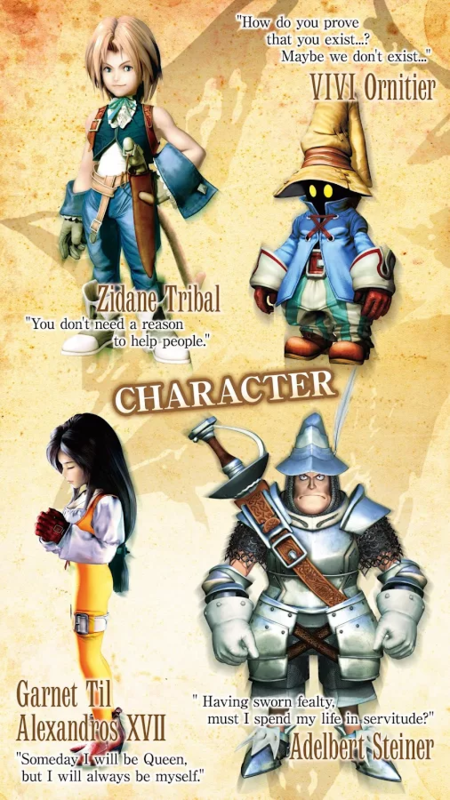 And just to forego commenters, yes, I know that Final Fantasy Tactics was technically a PS1 game, but the Android version is based off of a PSP version, and it's not part of the main FF series anyway. 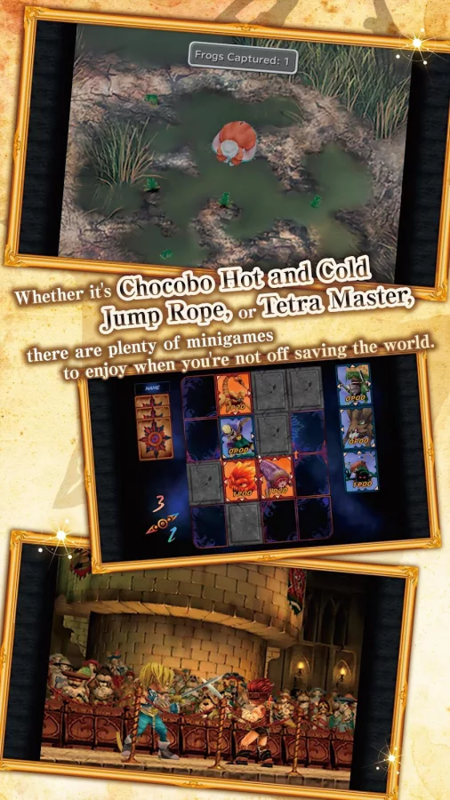 On the plus side, Square-Enix has released the Android version of this game at the same time as the iOS version. It's just too bad that the mobile version is almost twice as expensive as Final Fantasy IX on the PlayStation Store.